What is capital? Even economists don't seem to agree on a definition. Here, in this classic primer on the subject, German economist EUGEN V. BOHM-BAWERK (1851-1914) discusses: . the nature of capital . historical development of the concept . competing ideas about capital . the function of capital in production . two conceptions of value . price and the law of supply and demand . loans and interest . and much more. 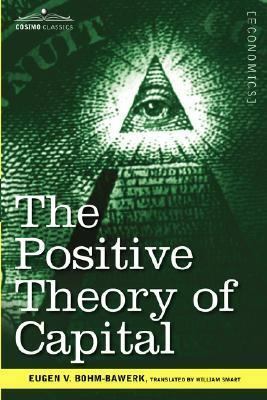 First published in Germany in 1888 and in English in 1891, this intriguing work offers yet another valuable perspective on one of the most basic and yet most debated subjects in economics.Böhm-Bawerk, Eugen von is the author of 'Positive Theory of Capital ', published 2006 under ISBN 9781602060395 and ISBN 1602060398. Loading marketplace prices 131 copies from $30.67 How does the rental process work?